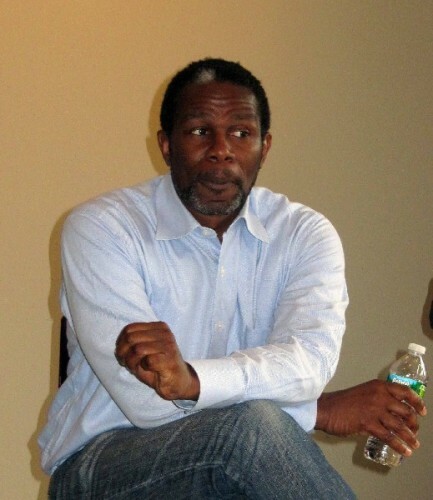 John Douglas Thompson will be in Chicago for Iceman Cometh at The Goodman Theatre. Giuliano photos. 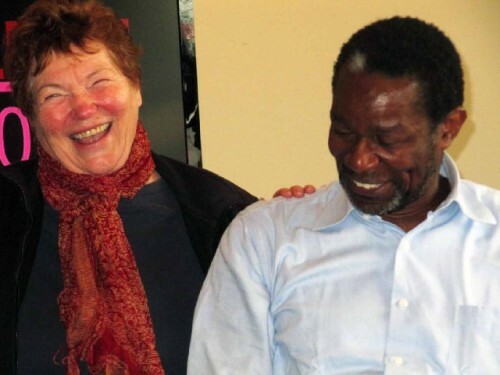 Thompson has close ties with Tina Packer of Shakespeare & Company. Discussing a second O’Neill play after the critically acclaimed Emperor Jones. 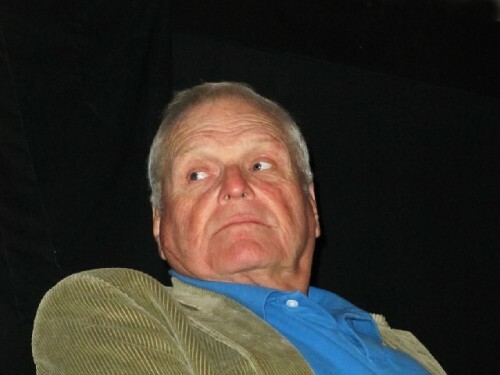 Brian Dennehy will also be featured in Iceman. Giuliano photo. 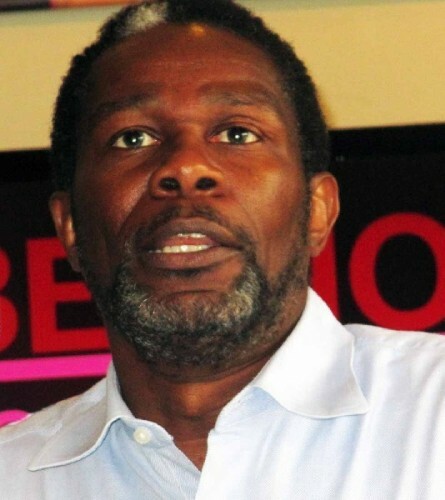 For the past several years we have had an ongoing dialogue with the actor John Douglas Thompson. It started when he performed Othello for two seasons at Shakespeare & Company. That was followed by a summer as Richard III. We traveled to New York for Eugene O'Neill's The Emperor Jones and to Hartford for Antony and Cleopatra. The intention of an ongoing project has been to track the career of a superb actor and explore a broad range of roles and how they are developed. It is an unusual relationship between an actor and critic. Often critics go to lengths not to interact with the actors they review. There is the concern that it will influence their objectivity. As this dialogue hopefully reveals the risks are outweighed by insights. The artist is the primary source for critical discourse. Last summer Thompson took a break from the Berkshires. But he returns this season with the world premiere of a one man show Satchmo at the Waldorf written by former jazz musicians and Wall Street Journal drama critic Terry Teachout. He will portray Louis Armstrong (1901-1971) during the last months of his life. He will also portray Armstrong's tough and complex manager Joe Glaser. In this first installment of a dialogue Thompson discusses working with Sam Waterson and Bill Irwin this season in King Lear at the Public Theatre in New York. And his plans for Eugene O'Neill's The Iceman Cometh in Chicago at the Goodman Theatre with Nathan Lane and Brian Dennehy. John Douglas Thompson I did a reading last night. John Wolfson, who works for the Globe Theatre in London collects rare books including Shakespeare folios. They are worth a lot of money. He put together a program on the Travesties which were plays that were written mostly by academics. They call them Travesties because they are plays with Shakespeare’s themes but they changed words and changed meanings and added rhyming couplets. There was a burlesque atmosphere but it was actually the beginning of Shakespeare scholarship. It is a really fascinating topic. I was one of the presenters and played some of the roles. It was me and Randy Harrison. We were the actors and John Wolfson was the academic. It was quite fun. It was hilarious. To my surprise Tina Packer was there. I didn’t even know she was in New York City. It was interesting and you would have really liked it. You would have been fascinated by it. The audience was great. We had a Q&A after and about 95% of the audience stayed to hear more about this stuff. 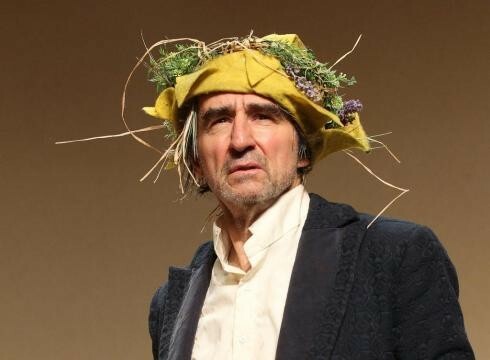 Charles Giuliano Since we last talked you’ve done King Lear at the Public Theatre with Sam Waterson. Coming up this spring you will be performing in Iceman Cometh with Nathan Lane and Brian Dennehy. In particular I am interested in the Louis Armstrong based one man show Satchmo which you are bringing to Shakespeare & Company this summer. Can we have a thumbnail of King Lear as well as plans for Iceman. JDT Lear was great. It was a wonderful production with Sam Waterson. From the reviews I read critics were split on it as they tend to be. There were a lot of fabulous actors. I got to work with Bill Irwin and Sam Waterson. I never dreamed that I would be on the same stage with those two guys. My role as Kent was more than I expected it to be. It was fun. In the play he is in some scenes and then he is gone for quite awhile. Then he comes back. I didn’t think the role itself had any presence in the play. That was my first understanding. But after doing it I found it to be quite different, enjoyable and fun. Michael McKean was also in it. I don’t know if you have seen any of his movies. He was in Spinal Tap. He played Gloucester. It was a great company of actors. Bill Irwin played the Fool. We shared the same dressing room so I got to talk with him about the clown. CG When we first talked about Lear you were reluctant to take a minor role. But it was a chance to work with Public which you had previously turned down. JDT There were other offers that Public had made to me but it was the wrong timing or there was another assignment I was working on so it didn’t pan out. It wasn’t that I was reluctant to take a minor role. But every time I have been in Lear or seen Lear I haven’t been particularly interested in Kent. People talk about how wonderful it is but I never really saw that on the page or in performance. So that was primarily the reason why I was reluctant. The role was almost antithetical but the role almost seemed superfluous to me. You see the guy early in the play then he’s gone. He’s not a part of the main thrust of the play which is about Lear and his daughters. Gloucester and his sons. So he gets lost in the shuffle. So there was my reluctance but it was compelling to work with Sam Waterson and Bill Irwin, Michael McKean, Kelly O’Hara and all those great actors in the cast. CG You were singled out by critics precisely for making so much of a minor role. The listing blurb in the New Yorker said wonderful things about you. JDT I’m happy to hear that. CG It seems that with each new season you are more recognizable in New York theatre. JDT That’s good too. The productions we have done in NY- Othello, Emperor Jones, Macbeth and now this (Lear)- have all been good for me in the context of working in New York theatre. In terms of building a reputation. Also The Forrest (Classic Stage) which I did with Diane Wiest. Now working in New York theatre is more accessible for me. I’ve done a lot of regional stuff (A.R.T. and Antony and Cleopatra at Hartford Stage Company). CG Do you have a sense of momentum? JDT Yes. But I think I’m going to kill it when I go to Chicago for Iceman and then to Shakespeare & Company for Satchmo. So I will be gone from the city for quite a time. I go to Chicago and the Goodman in March. We start performing in April and it closes in June. Mid June but if it gets extended it will go to the end of June. CG We hope to be in Chicago for the annual convention of the American Theatre Critics Association (June 13 to 17). JDT You’ve got to come. Everyone will be there. It’s going to be a wonderful production. CG From what my colleague Ed Rubin tells me the critics get to see a lot of theatre during the convention. It will be our first time participating in the activities of ATCA so we are really looking forward to it. JDT That will be awesome. I don’t know if you’ve been to Chicago. Previously I worked with the Chicago Shakespeare Theatre. CG I’ve been to Chicago several times. A few years ago I had a one man show at Flatfiles Gallery. Astrid and I spent several days exploring the city. Mostly we have done museums and galleries as well as walking tours of architecture. Astrid says we went to the theatre but I don’t recall that. We have Berkshire Fine Arts correspondents who have covered Chicago theatre and opera. JDT I see that on the site. You have a lot of content. I was talking to Randy (Harrison) about it. I talked with him about the interview you did with him. He said that you guys are doing a great job. CG In high school when I was first becoming interested in theatre I read an anthology of Eugene O’Neill plays. At that time I read Iceman which really intrigued me but I have never seen it performed. As I recall it is a very long play. JDT It’s four hours long. If not The it is one of the great American plays. The last production on Broadway, with Kevin Spacey, was three hours and some change. It’s hard to do the play and not have it be that long. When people come to Iceman they know it’s a great American play and takes time. When people see it in performance it doesn’t feel like three or four hours. The text, characters, and situations are so engaging to watch. 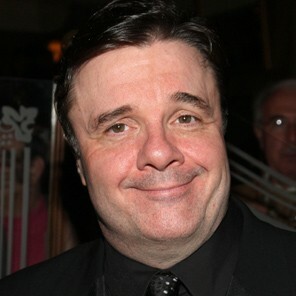 Nathan Lane plays Hickey. Brian Dennehy plays Larry Slade the anarchist. It’s pretty much an ensemble. I fall into the characterization. I play Joe Mott the only African American member of Harry Hope’s bar. He’s another guy, a dreamer, a drunk who ends up at Harry Hope’s. His function is like so many others. He tells his story. They’re a big family and happy about it. Then Hickey comes in and tosses everyone’s dreams in the air and forces them to go out and see if they can make their dreams come true. He leaves. Goes out and confronts things. Can’t handle them and comes back like everyone else. JDT I really like O’Neill. After all the work I put into Emperor Jones I really came to appreciate him. First off. He wrote the first lead role for a black actor in American drama so that’s who Brutus Jones is. You can see Brutus Jones in so many other places now. He’s an archetype. You can see him in August Wilson’s work. You see his footprint. You see O’Neill’s footprint all over the place. For me working on this play and what I know from The Emperor Jones it will be a matter of finding whatever parallels. Because Joe Mott is the extreme opposite of Brutus Jones. Because Brutus Jones is a man of power and accomplishment no matter what you think of him. Joe Mott is on skid row. Not as powerful. It’s almost as if Brutus Jones ran away from being the kind of man that Joe Mott is. And Joe Mott would love to be the kind of guy that Brutus Jones is. They are both reacting to the prejudiced society they are living in. CG Is there stereotyping in the character of Joe Mott? Is there substance to the character? What are the limitations in view of the period in which O’Neill was writing? JDT I am fascinated by O’Neill wanting to have black characters in his plays. When you look at Iceman you can say he didn’t really have to do it. He wanted to make some kind of statement about the social climate of the time. So having Joe in the play is really quite masterful. Here’s a character who has been mitigated and marginalized by racial prejudice. However he feels a part of this whole group in the bar. CG How do they fell about him? JDT I think they like him until they become upset with him. It goes down to the default register and the prejudice comes out. CG The default register. I haven’t heard that phrase before but I like it. Is that your original thought or a term I should know about? JDT I think so. I’m not saying nobody else has had the thought. I’m just taking Joe as an example. He’s everybody’s friend until he does something they don’t like. Then they treat him bad. Like, listen, you’re nobody here. You’re on the bottom of the totem pole. It puts him in his place and that was the racial prejudice of that time. So it’s not something which is not believable. Yeah. That happens. The minute he steps out of line they put him back in line. CG I’m enjoying seeing this transition in your work. You have an established reputation for your classical work in plays by Shakespeare. But you have been interjecting more contemporary works like Emperor Jones, The Dreamer Examines his Pillow, The Forrest. Over the spring/ summer Iceman in Chicago then a world premiere of the one man show Satchmo at the Waldorf written by Terry Teachout the drama critic for the Wall Street Journal for Shakespeare & Company this summer. What does this mean for your craft and career? Particularly how does this relate to you in going from performing kings and generals like Richard III, Othello, Macbeth and Marc Antony to contemporary characters impacted by what you describe as the default factor? JDT I am glad that I have a classical underpinning and I have had the chance to work on these wonderful Shakespeare plays. They do lend themselves, albeit strange, but they do lend themselves to these contemporary characters. Most of the contemporary characters that I play have a Shakespearian or Greek background to them. The challenges that they face in these plays are Greek and Shakesperian. I have that under my wing. And part of it was that there were a lot of contemporary plays that I did before I got on this Shakespeare wheel. They were roles I wanted to play. Now I want to mix it up by having some contemporary going along with the classical. For me to go back to O’Neill will be great. Not only do I get to perform in this play (Iceman) but also to work with Nathan Lane, Brian Dennehy, people I never thought I would be on stage with. There are some other heavy hitters who will also be in it but I don’t know their names yet. I had a discussion with Robert Falls who will be the director of Iceman and is also the artistic director of the Goodman theatre. He’s brought some other O’Neill plays to Broadway including Desire Under the Elms. He also did one or two other O’Neill plays which he brought to New York City from Chicago. CG As a New York actor how did you come to be involved with this Chicago production? Who approached whom about this? JDT They called my agent and offered me the role of Joe Mott in Iceman. Robert Falls, when I met him, I asked why me? He said, back in the day he had a girlfriend at Harvard and he would come to visit her. It was the same time that I was at A.R.T. (American Repertory Theatre) as a company member. Under Robert Brustein’s tutelage when he was the artistic director. He saw me in several plays including Mother Courage, Richard II, and Othello. He liked my work and thought it was good. CG Didn’t you do Merchant of Venice? JDT No I did that at Shakespeare & Company. Bob Falls has followed me. He told me he had read some of the reviews of Emperor Jones. I don’t know if he saw it but he read a lot of the critical press about it. He just figured I was the right guy. I had already done O’Neill and he liked my acting. So it wasn’t something I auditioned for. They just offered it to me. At the time I was prepared to go up to Yale Rep and do Leontes in Winter’s Tale. There was a conflict. I think I told you this before. I made the decision to do Iceman over The Winter’s Tale for several reasons. One of which was wanting to work on the O’Neil play with those actors. I felt that was a once in a decade type thing. Winter’s Tale is hopefully something I will get back to and play Leontes at some point later in my career. The Iceman thing I thought is now or maybe never.